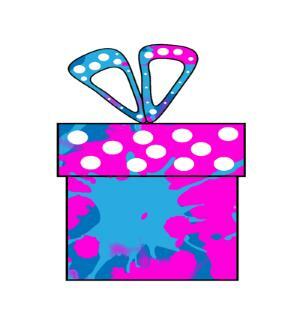 Looking for a Surprise Birthday Invitation? Take a look at my free printable invite card selection. 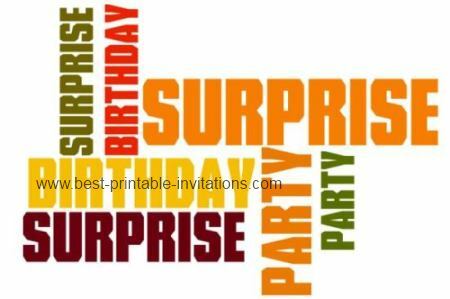 Hosting a surprise party can be fun - but it is more successful if everyone is away that it is supposed to be a secret. This invite makes it quite clear that the birthday boy (or girl!) doesn't know about it. Suitable for all ages - you could use this card whether the honored guest was having a 21st, 30th, 50th or even their 80th! It is best to deliver your invites at least 2-3 weeks before the party is to take place. Clear and to the point! This boldly worded invitation doesn't make a secret of the fact that the party is a surprise. 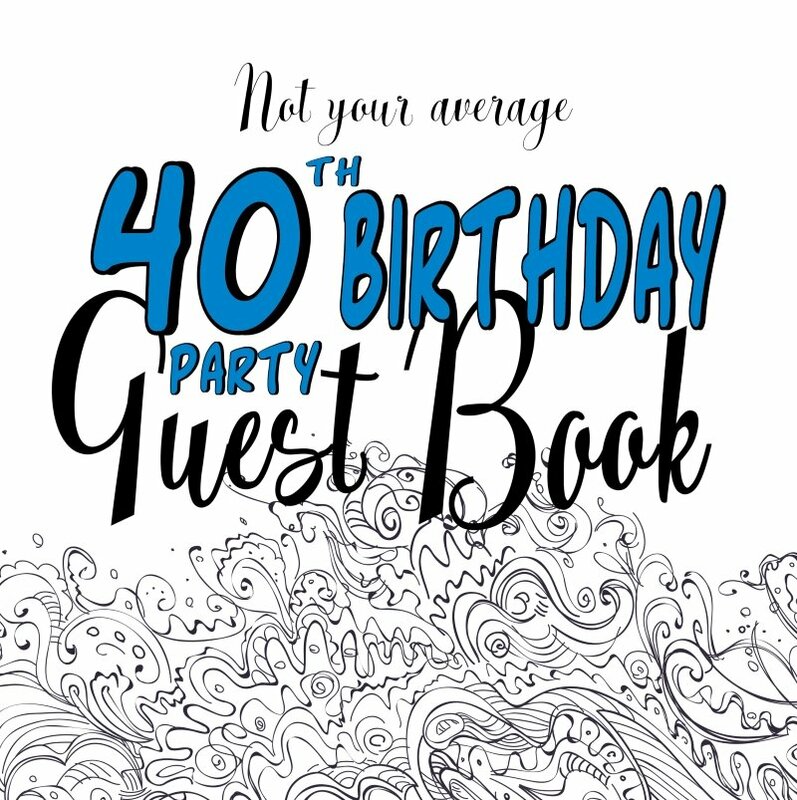 Would you like a personalized version of this invite? Let me take the strain of writing out all your details. Why not create a unique downloadable version with all your info ready to print. Is it a secret? Surprise parties are so much fun for both guests and the recipient! But in what ways can you keep things quiet? First of all you need to plan out what type of party you want to hold. Make sure it is something the guest of honor will enjoy. It they are the shy and retiring type then they won't thank you for a loud fancy dress event. How about a tea party instead (you might want to look at my printable tea party invitations). And of course the age of the birthday boy needs to come into things too. Someone having their 21st isn't going to want the same type of event as someone having their 80th! You might also want to take age into account before deciding how much of a surprise you want things to be! If you fear for the effect a shock might produce, then it makes sense to drop a few hints beforehand! Make your plan as detailed as your can - right down to guest invitation lists and gift ideas. If you want to keep things totally a secret then the more planning you do, the easier it will be for you. 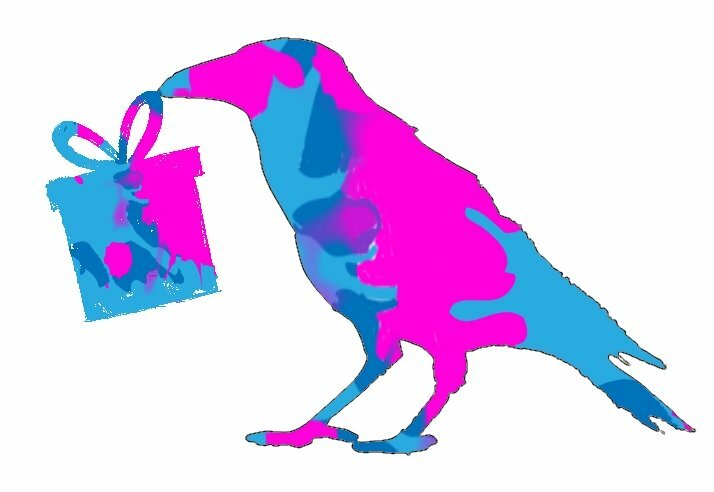 Think about things like birthday gift deliveries - can you have parcels delivered where the guest of honor won't have to sign for them! The same goes for party supplies. Think about where you can store them before the event so that they are not found. Another thing to consider is the cake. Even if you can bake in secret, that yummy smell of a cake will linger for ages. Ask if a friend can bake it for you - or if you can use their kitchen. If you are looking for birthday cake ideas, then you will find some recipes here. Dealing with people also causes the opportunity for the secret to be leaked! Make sure all the guests are aware of it - and insist that any party planners or venues you are dealing with know that they must call you directly - this is when giving them a mobile phone number will come in handy. One of the hardest things to manage is getting people to the right place at the right time. It makes sense to plan this as far in advance as you can if you want things to go smoothly. Try getting a friend to offer to take the guest of honor out for the evening. If they normally attend a particular social function or society, you may be able to persuade them to call a 'special meeting' on the evening in question. Don't leave getting them to the event until the last minute - it will just make it stressful for everyone, and is likely to spoil the surprise. Finally - this is supposed to be a celebration! So don't let all that planning get on top of you. Take things a step at a time and overcome problems as they arise. Then take a deep breath - and just decide to enjoy yourself! And hey! 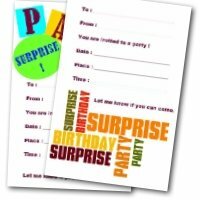 At least now you have found a site for printing your free surprise birthday invitation! Take a little time in printing off the invites (in secret!) and fold them carefully - you will get a much better finished result. Experiment a little with different types of paper - they work fine with normal photocopy paper - but a slightly thicker paper gives a more luxurious (expensive!) feel to the card. 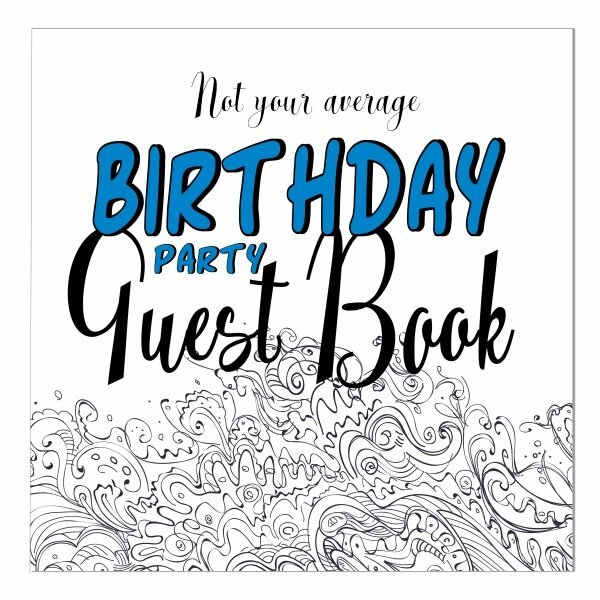 The free card has plenty of room for you to include all the details your guests will want to know - and you may even have room to add a birthday poem or quote to make it special. Have fun with your party. I hope it goes well, and everyone has a really great time.